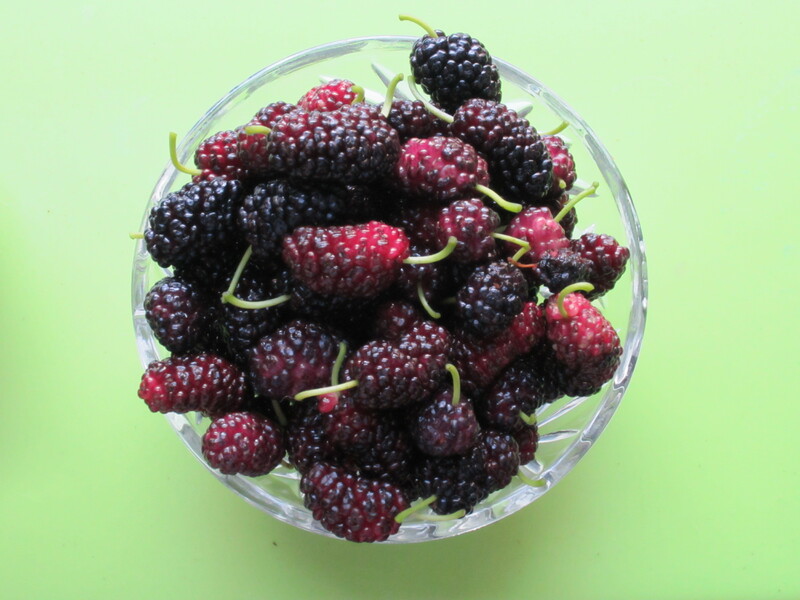 An update: Walking home from the subway this evening, I caught sight of a father and daughter at the mulberry tree, with dad in his suit jumping up to reach the ripest fruit on the higher branches, ane daughter waiting to grab the bounty. I had to wonder if it was the same pair I encountered a year ago. But at any rate, I grabbed a couple of the darkest berries, which have gotten to their point of sweetness as the crop has peaked and thought it worth reprising this former trip to Mulberry Street. Next Post Now That’s Iced Coffee! Just got an email with Volt’s new patio menu that included “chioggia beets, mulberries, greek yogurt, dark chocolate”. People will be fighting over them by next year.